S&H Rubber (www.shrubber.com), based in Fullerton, Ca., is a family-owned molder, stamper and extruder of high precision rubber and plastic parts with more than 50 years of experience and international quality certifications. S&R Rubber started with small runs and over flow work, but as the company grew and expanded in the last 50 years, it moved beyond its roots into more complicated creations. Today it offers its customers anything from high precision prototypes to one million production parts. S&H Rubber is ISO 9001 and AS 9100C compliant as well as ITAR compliant in its 10,000-square-foot Fullerton facility. 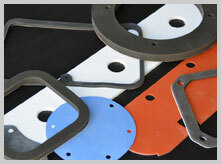 S&H Rubber's processes include molding, lathe cutting, stamping and extrusions. It offers compression molding, transfer molding and injection molding. It offers rubber to metal molding and bonding. The materials it works with include SBR, butyl, hypalon, urethane, silicone, fluorosilicone, Viton®, thermoplastic rubber, FDA rubber, neoprene, ethylene propylene, nitrile, natural rubber and others. 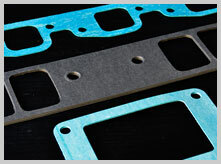 it; In addition to rubber and plastics, S&H Rubber also specializes in precision die cutting of washers, gaskets and diaphragms in rubber, plastic, paper, light-gauge metal, and foam. It can hold critical tolerances of plus or minus five-thousandths of an inch. "With our diverse equipment, we can run one part to one million," S&H said on its website. "Our numerous molding presses allow us to be versatile for quick set-ups and turn-around delivery. We have ready sources for numerous SPEC materials and we are established on several QPL-qualified product lists." It serves most industries, including, aerospace, electronics, medical, lighting, commercial, pumps, plumbing, spa and pool, electrical, irrigation, controls and valves, bearings and other OEMs. "Among our high-quality products and rubber extrusions are: airplane seals, bellows, bushings and molded gaskets," S&H Rubber said. 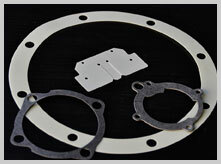 It offers prototype and small quantity capabilities runs up to multi cavity large production quantities. It operates more than 30 presses ranging in size from 10 X 10 to 36 X 36. Tonnage ranges from 10 to 250 tons.